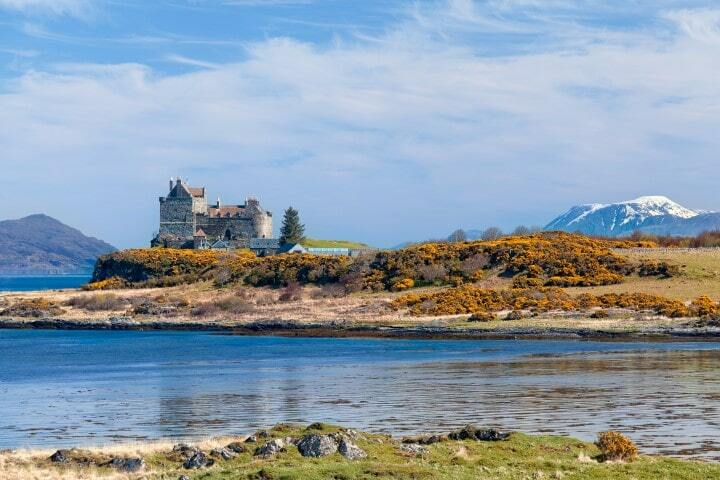 This extended version of our successful three night Mull and Iona cruise allows you more time to explore this fascinating group of islands with an engaging voyage in some of the most spectacular landscapes and wildlife Scotland has to offer. 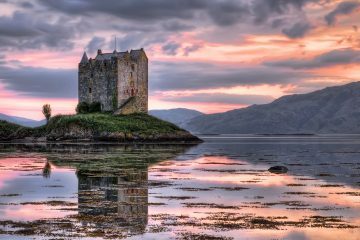 This luxurious six night cruise visits long forgotten bays in the tranquil waters steeped in a history of castles, clans and legends, this trip offers something for everyone and everything to most. The brightly coloured houses in the distance are immediately recognised by eager pre-schoolers as the quaint village of the BBC programme Balamory. If looking for PC Plum and Suzie Sweet is not your thing, then Tobermory still has a plethora of delights to offer. A picture perfect setting of coloured buildings down to the pier surrounded by wooded hills around the bay up to the lighthouse with its playful otters among the rocks. At the bottom of the bay is thought to remain the wreck of a Spanish galleon which fled the English fleet when she anchored in Tobermory to take on provisions. Following a dispute over payment the ship caught fire which caused the gunpowder to explode. She was supposed to have been carrying millions of gold coins when she went to the bottom but no-one has ever managed to find any significant treasure. Tobermory also has its very own chocolate factory. Cala Ghearraidh in Gaelic meaning Beach of the Meadow, to the north west of Mull is home to a rich variety of birdlife. It is an interesting little bay with an abundance of treasures to see, haunting ruins of stone forts and abandoned villages all surrounded by a shimmering white sandy beach and craggy headlands. Escape the everyday! This little island (0.5 miles long and 0.25 miles wide) off the west coast of Scotland looks like it may be from a different planet. Its hexagonal columns were formed millions of years ago by volcanic eruptions and a vast blanket of lava that spread into the Atlantic Ocean. 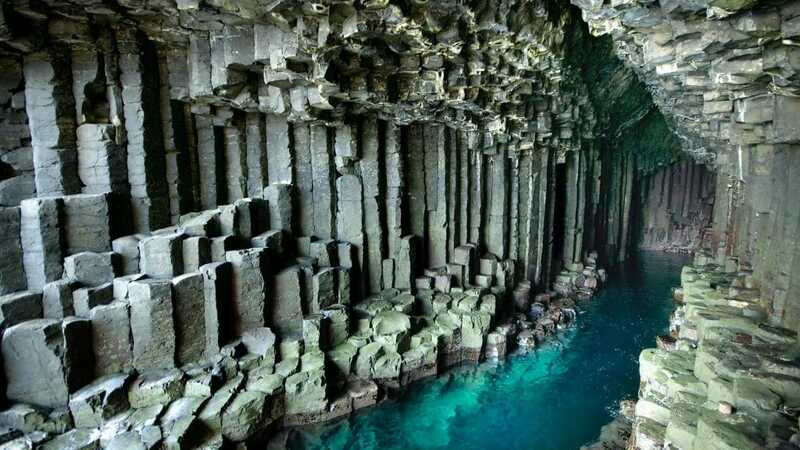 Years of waves crashing against these columns created the magnificent Fingal’s Cave. Gometra – rugged and unforgiving is east of the Treshnish Isles and just north of Staffa and its famous Fingal’s Cave forms part of the Staffa Achipelageo. From here you can see the Carnaburgs, Gunna, Little Colonsay, South Uist, Ulva & Mull, Bec Bec, Dutchman’s Cap, Colonsay, Islay, Staffa, Dubh ArtachIona, Maesgeir, Tiree, Erisgeir, Jura, Dioghlum, Skerryvore, Lunga, Fladda and Coll – a plethora of isles stretching away into the distance. In the evening listen to the common and grey seals singing and watch out for bottle nose dolphins frolicking in the waves as red deer and feral goats dive through the woodland trails. 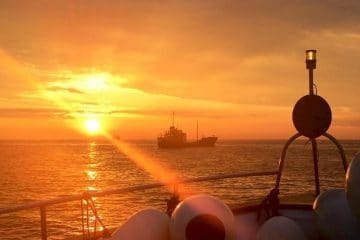 As we sail past the island look out for the killer whales which are often spotted further out to sea. Immediately to the East of Gometra is the island of Ulva, separated from it by a narrow inlet that can be crossed at high tide by a bridge and at low tide by the tidal beach. At its highest point Ulva rises 313m to the tip of Beinn Chreagach. As you approach the island, the first thing you notice are the huge basalt columns that look like they have been carved out of the stones itself. Ulva’s name comes from the Old Norse “Ulffur” revealing a history of settlement by the Vikings, who first arrived in about 800AD and are thought to have named it Wolf Island. The island was inhabited long before the Vikings and a cave on the south side of the island has revealed traces of human occupation dating back 7,000 years with beautiful standing stones dating from 1500BC. From the coast you can see Sheila’s Cottage which is a stunning traditional thatched cottage and serves as Ulva’s museum and heritage centre. Lying to the east of Ulva and nestled in Loch na Keal and once owned by the Abbey of Iona, it was used during World War I as a naval anchorage. The island is also the fictional setting for the 1952 novel Bridal Path which was written by Nigel Tranter. Named after St Kenneth who built a monastery on the island, Inch Kenneth lies just off the coast of Mull. Dominated by the sea cliffs of Gribun, it is one of the most historically important islands in Scotland. It is believed that when passage to the Holy Isle of Iona was not possible, the Kings of Scotland were then buried here and it is home to the ruins of a 13th century church. Today it is the seasonal home of a 200 strong herd of barnacle geese who arrive from Greenland each autumn. Known as the Holy Isle and the site of Iona Abbey built in 563AD by St Columbus. Full of history and culture – all offered with a friendly smile from the locals. Clear turquoise waters and stretches of sandy beaches, teeming with nature also add to the charm of this beautiful island getaway. On the west coast of Iona, lies this beautiful bay and beach – so named as it is Canada that lies on the other side of the water. The water is a mix of emerald greens and blues in the sun over white sandy beaches. The machair along the back of the beach is home to the rare corncrake. Picturesque and tranquil, this is the perfect place to enjoy a glass or two as the sun sets on the horizon. With pink granite glowing on the surrounding cliff faces and the sea so clear below, this is one of the most magical places to ever visit. Tinkers Hole hides on the Isle of Erraid, which is one of the locations featured in the novel Kidnapped by Robert Louis Stevenson. The hero of this tale was marooned for a while on the island having been shipwrecked on the Torran Rocks, which lie to the south. Young Robert Louis visited the island on several occasions, recalling one such excursion in his book Memories and Portraits. He later based the fictional island of Aros, the setting of his short story “The Merry Men”, on the island. As you explore the anchorage look out for the secret Fairy Staircase. This is an enchanting place and your own imagination will be awakened. Perfect for snorkelling or walking on the rocks. This bay is home to beautiful, crystal clear waters and a sandy fabulous beach reminiscent of those of Barbados. Just inland lies the Ardalanish standing stones and the village is home to Ardalanish Weavers, a traditional weaving company who use their own flock of Hebridean sheep to weave their unique and distinctive tweeds. Traditionally, the colours of these tweeds mimic the surrounding scenery to beautiful effect. On the Isle of Mull, Loch Spelve has an impressive entrance through a narrow inlet at the settlement of Croggan. The loch extends both north-east and south-west, extending from Kinlochspelve in the south to Ardachoil in the north. Surrounded by rolling green hills and shingled beaches, there are many anchorages to set down and view the early morning otters or visit the medieval burial ground of Killean. The views from Loch Spelve are hard to improve on and the first thing that you see is the image of the impressive Duart Castle from the water – it is simply spectacular.